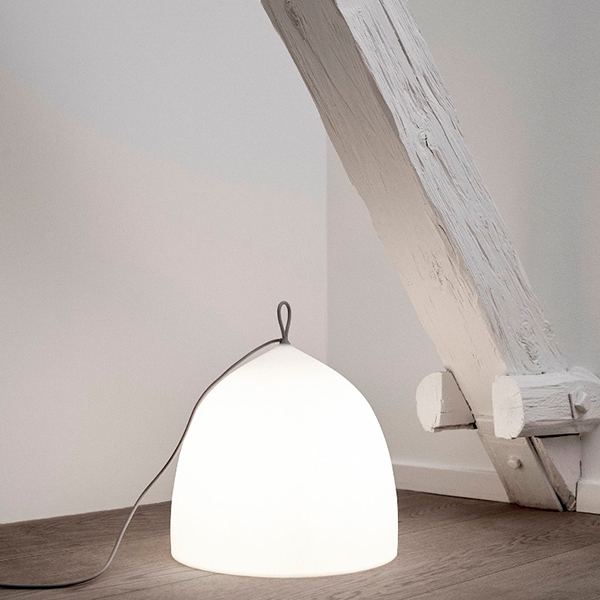 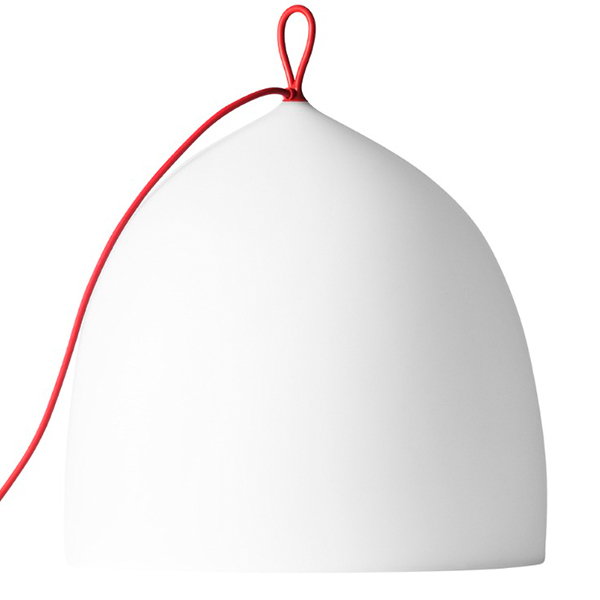 The Suspence Nomad floor light from Fritz Hansen has a beautiful bell-like shade that emits a pleasant light. 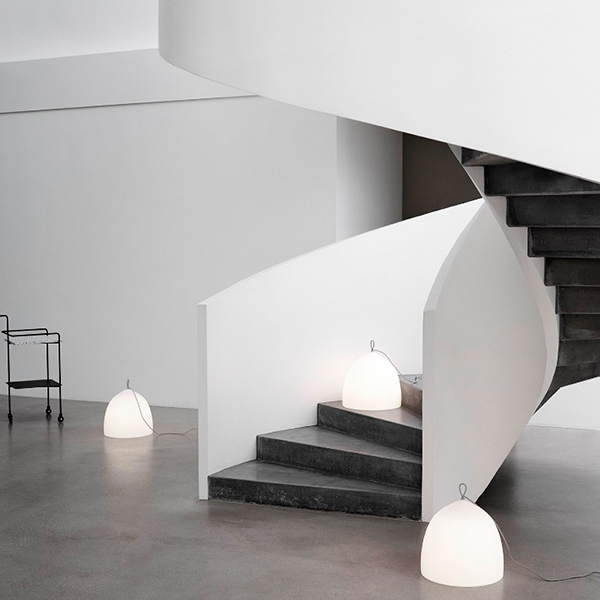 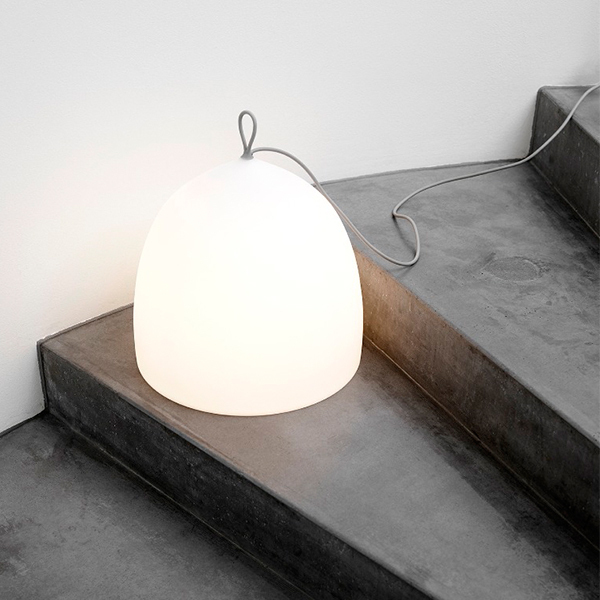 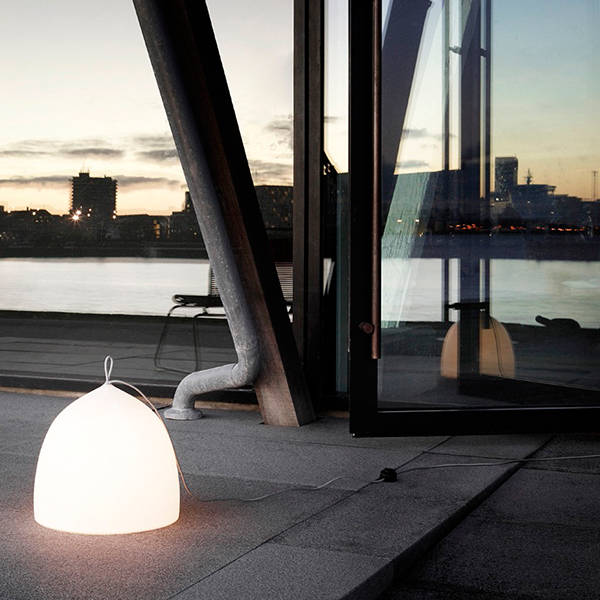 The name Nomad refers to the nature of the lamp: due to the 4-meter cord and the loop on the top, it is easy to carry anywhere, where light is needed from floor to terrace and staircase. 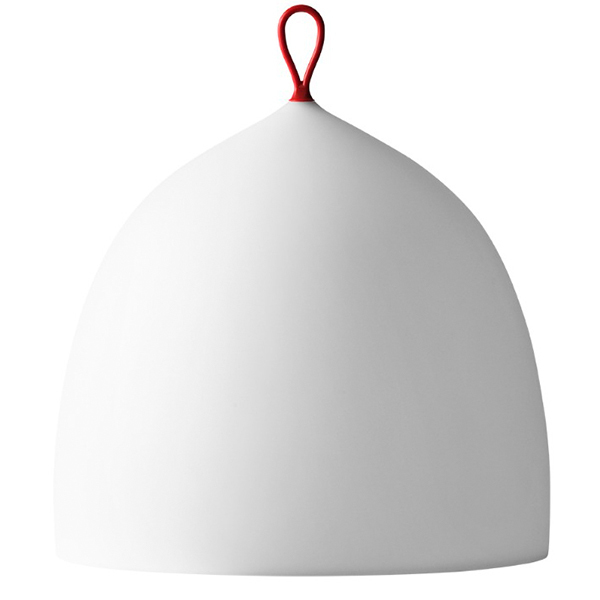 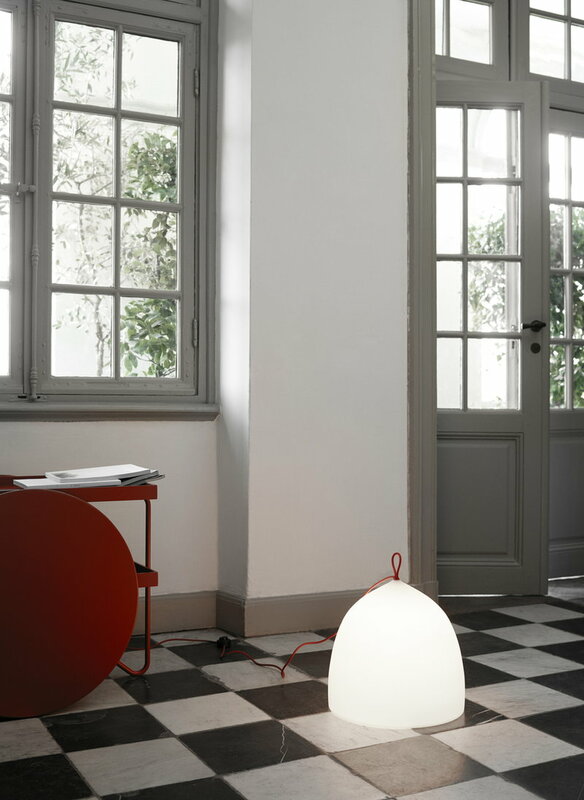 Designed by GamFratesi, the streamlined shade is made of durable polyethylene that glows white when the light source is on. 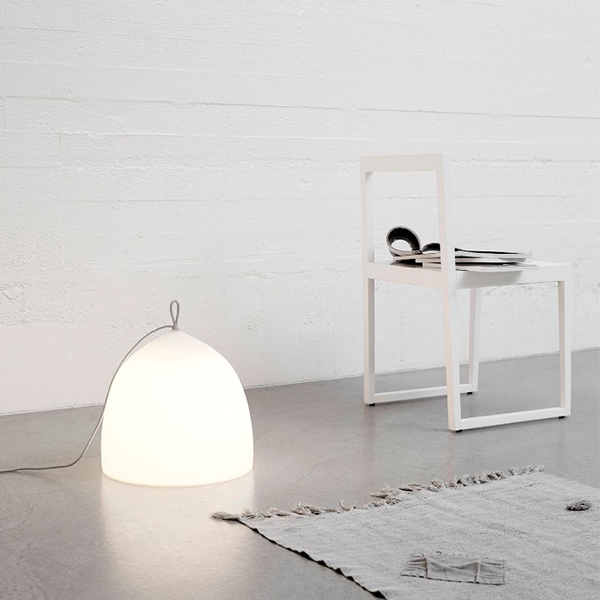 With its minimalist silhouette, Suspence Nomad is well suited for any space and setting.